Grosh’s Grass Gazette E-Newsletter. February 2018 Edition News and helpful tips for our clients in: Washington County, Maryland, and the surrounding area including: Hagerstown, Maryland; Williamsport, Maryland; Clear Spring, Maryland; Greencastle, Pennsylvania, and Falling Waters, West Virginia. Read more for more information on lawn mowing, lawn care treatments, landscaping, shrub trimming, shrub pruning, mulching and numerous other outdoor services. Grosh's Lawn Service is proud to sponsor the annual Michael L. Reid Award, which goes to a firefighter who goes above and beyond in his or her service to the community. The recognition was first awarded in 2009, and has continued each year since. As many of you know, Mike Reid joined the Clear Spring Volunteer Fire Company on November 11, 1979. He has served the Clear Spring community for 13,957 days. We thought there was no better way to honor Mike for his service than to name an award is his honor. We congratulate this year's winner, Charles Mundey, who was recognized for his 25 years of continuous service to the Clear Spring Volunteer Fire Company and the Clear Spring community. 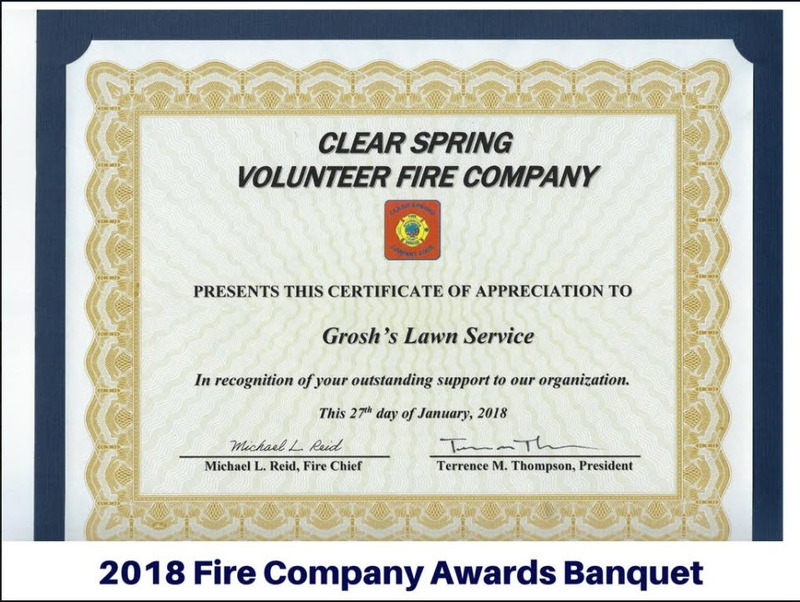 Because of our support, the Clear Spring Volunteer Fire Company recently recognized Grosh's Lawn Service with a Certificate of Appreciation. We are honored to receive this, and proud to support them. Valentine's Day is just a few days away, on Wednesday, February 14. Be sure to check out Tom’s latest video to celebrate Valentine's Day. In less than 30 days, Grosh’s Lawn Service team will be out and about in the Washington County, Maryland area, as our spring cleanup will be under way. You'll see our team removing all the debris that has built up over the late fall and winter months. Email Tom today at Tom@GroshsLawnService.com to schedule your cleanup. Act now because the days are filling up quickly in March! 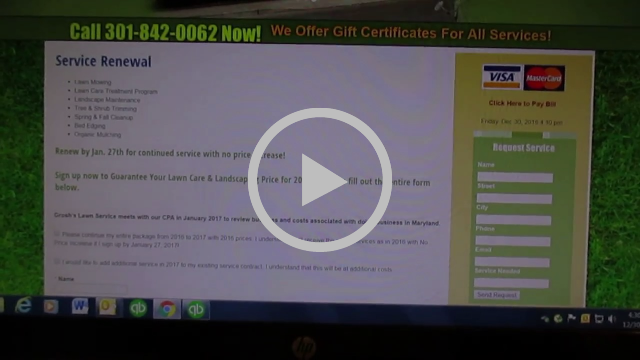 Take a few minutes and watch Grosh’s Lawn Service spring cleanup YouTube video for Hagerstown, Maryland and Washington County, Maryland. As you know, Tom is not a procrastinator; he believes in being proactive! In fact, he creates newsletters months in advance so his editorial team has adequate time to produce a quality newsletter. Take a page out of Tom's book; be proactive, renew your services with Grosh’s Lawn Service today! 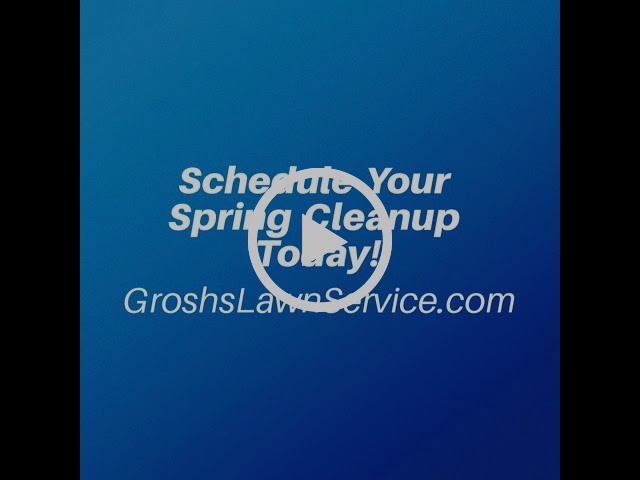 Did you know that Grosh’s Lawn Service is already completely booked for two weeks in March? That means if the team cannot work due to weather conditions, or additional days are added on to already existing projects, there will be only a few days available. 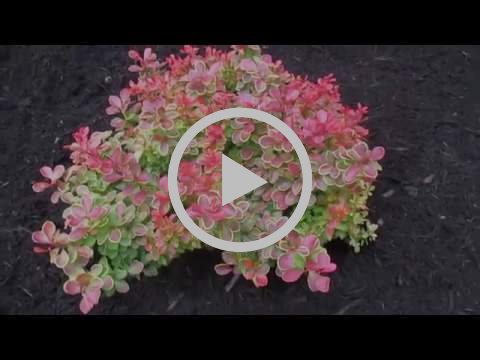 For more information on our easy e-acceptance, check out our Grosh’s Lawn Service YouTube video. Make this the year you show your lawn and landscape some LOVE! 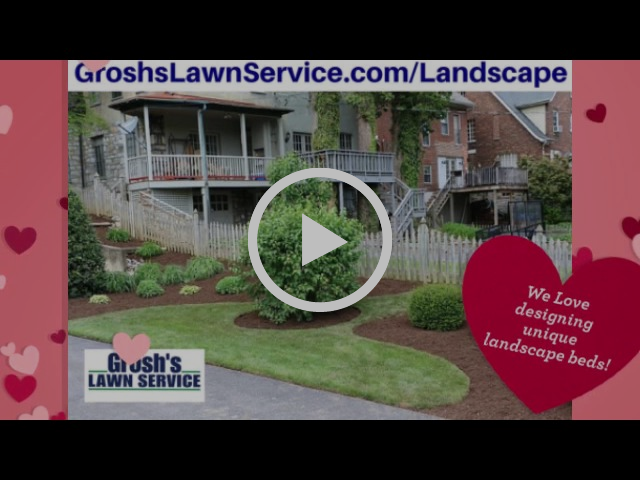 Take a few minutes and watch Grosh’s Lawn Service YouTube video on loving your lawn and landscape in Washington County, Maryland. The sky is the limit! If you would like to add an outdoor living space to your home, now is the time to meet with Tom to go over your ideas and design a plan together. Thinking of adding a deck to your home this year? What color do you want the deck material? What type of material do you want to use for your deck? How many people do you want your deck to seat? Thinking of having permanent, built-in benches? Have you selected a location for your deck? As you can tell, these are just a small sample of questions we will need answered before we can quote a price on a deck project. We cannot just come up with an estimate as there are many variables that need to be considered. Email Tom today at Tom@GroshsLawnService.com to schedule your deck addition and outdoor living space consultation. 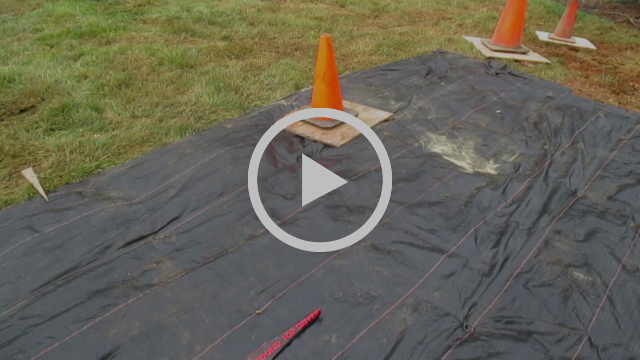 Take a few minutes and watch Grosh’s Lawn Service deck build project on our YouTube channel. 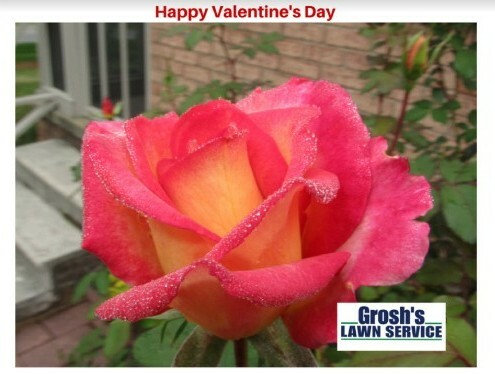 Are you considering having Grosh’s Lawn Service purchase and plant spring summer annual flowers at your home, office, or commercial business here in Hagerstown, Maryland? Now is the time to schedule your summer planting so the annuals will give you beautiful color the entire summer and even into early fall. 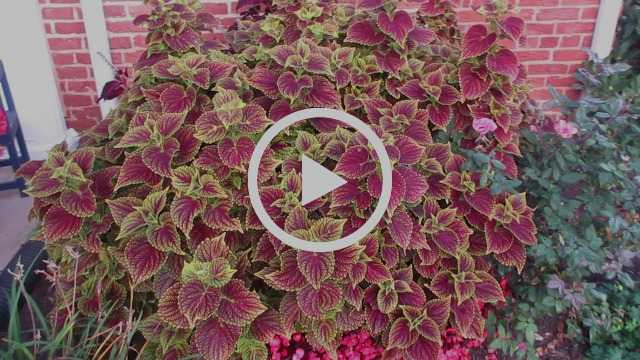 Take a few minutes and watch Grosh’s Lawn Service spring summer annual flowers on our YouTube channel. Email Tom today at Tom@GroshsLawnService.com to schedule your flower ordering and planting! As winter is here in the Hagerstown, Maryland area, now is the time to review and analyze your landscape with Tom, and see if you need a new focal point, or if some shrubbery is sparse. Maybe some of your shrubs are aged, overgrown, and need replaced this year in Williamsport, Maryland? Plan early as the nursery has the best selection at the beginning of the season here in Washington County, Maryland. 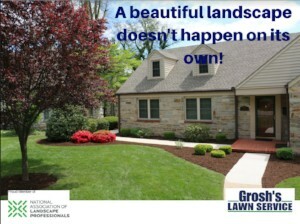 Email Tom today at Tom@GroshsLawnService.com to schedule your landscape evaluation. 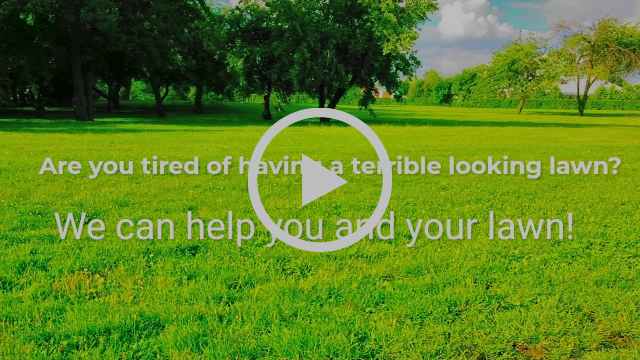 For inspiration take a few minutes and watch Grosh’s Lawn Service landscape renovation YouTube video. Grosh’s Lawn Service offers the premium lawn and landscape program for clients who are looking for the best value in the landscape industry and to have their property cared for all year long. Your property will always look its best when you select the premium program as everything is covered! Other services can be added per client’s needs! Email Tom today at Tom@GroshsLawnService.com to schedule your premium lawn and landscape program. 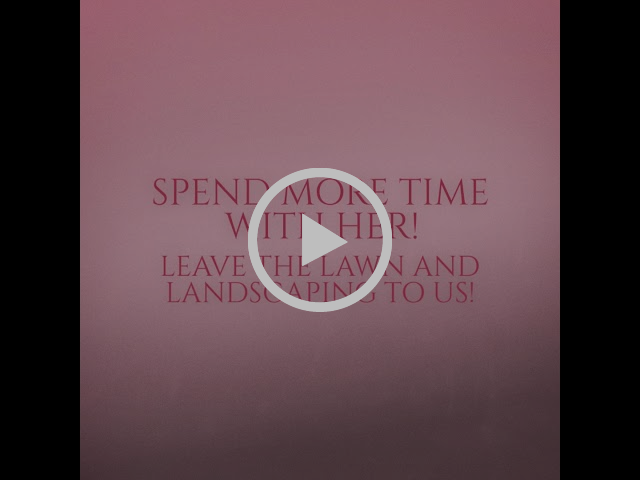 Be sure to watch Grosh’s Lawn Service's new lawn care treatment YouTube video. Just as the mulch needs to be freshen up each season, we also need to freshen up our reviews in 2018! So REVIEW US ONLINE or SEND US YOUR REVIEW! If you do not feel comfortable with online reviews you can send them to Tom by email at Tom@GroshsLawnService.com or you can send your review by mail. 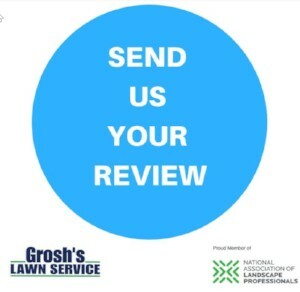 Thank you for taking the time to give Grosh’s Lawn Service your review! Please share/forward Grosh’s Grass Gazette with your family, co-workers, on social media and with your friends and neighbors. 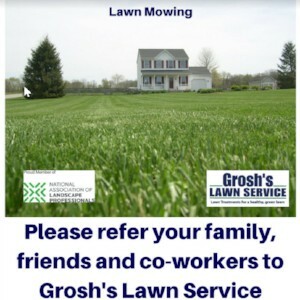 As always, if you know of any family member, friend, or co-worker looking for lawn care, lawn treatments, or landscape service, please refer them to Grosh’s Lawn Service. Once they sign up for one of our services, we will send you a gift card to a restaurant in Hagerstown, Maryland!